Do not let the cooler temperatures keep you from enjoying the outdoors with your family and friends. 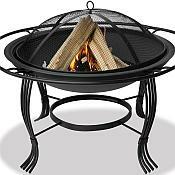 This Black Firepit with Outer Ring will give you years of use, along with warmth and viewing pleasure. The fireplace has a durable steel grate and is designed for easy loading and tending. 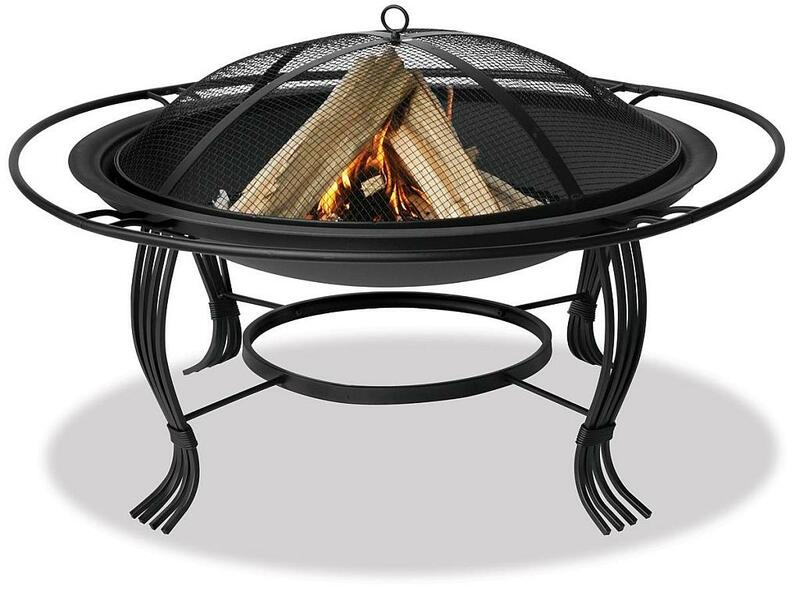 The easy lift spark arrestor ensures that the firepit is safe as well as easy to use. A heavy wrought iron stand and an outer ring add to the beauty of this wonderful fireplace.